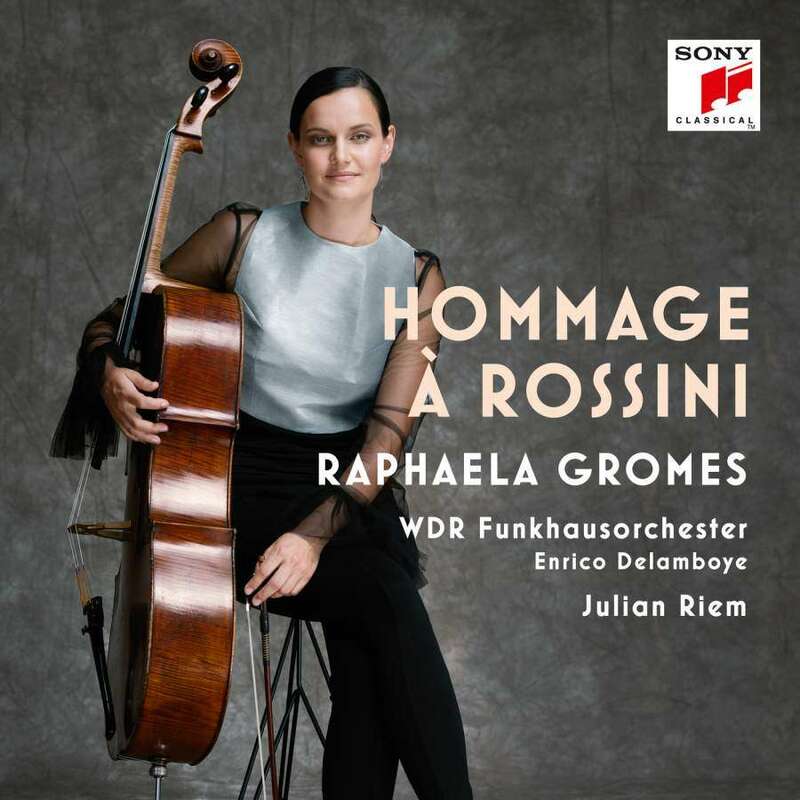 Sony Classical has announced the release of German cellist Raphaela Gromes‘ new album: Hommage à Rossini. Recorded with pianist Julian Riem, conductor Enrico Delamboye and the Cologne Radio Symphony Orchestra, the disc features a selection of new cello, piano and orchestral arrangements of Italian operatic composer Gioachino Rossini’s greatest vocal masterworks. “Ever since my childhood I’ve always been a huge opera fan … and the music of Rossini, in particular, always gave me great joy and hope …” the 28-year-old Munich-native has told The Violin Channel. “‘Une Larme’ for cello and piano was our starting point for this album, and then Julian and I set about creating new cello arrangements of our favourite Rossini songs and arias …” she has said.